Football is a Religion. This is the prophecy. Louis Van Gaal | Can he do it on a cold, rainy night in Stoke? [Transfer Special] Ed Woodward on Pedro Failings "we have bigger targets"
Every football fan will have created a Fantasy Football team in one form or another over the course of their football supporting life! 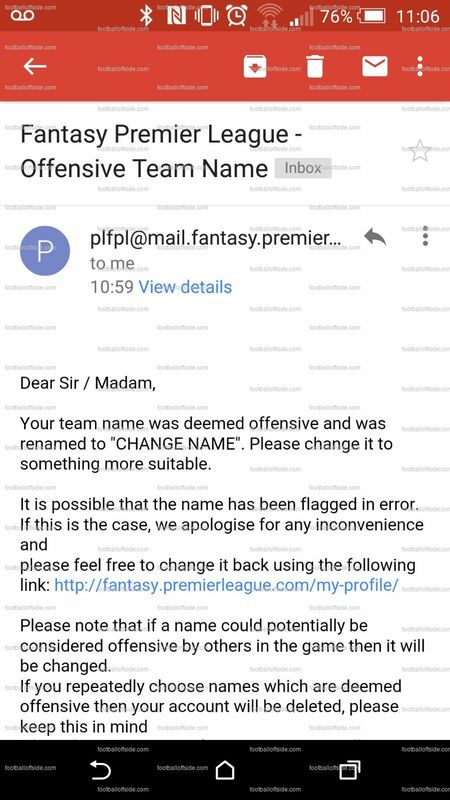 One lad in particular thought he would have a dabble with the official Fantasy Football of the Premier League, what was to come was unexpected! The un-named lad, called his team "Justice for Heysel". Fantasy Football wrote to him below, which we have a copy of the original email. As this is being deemed as too offensive, to who does it offend? Why does it offend? And does that mean that all "Justice for" campaigns offend? To set the scene, it was a special European Cup Final in 1985, Liverpool took on the Serie A champions, Juventus. The venue was the Heysel stadium in Brussels and it will be an unforgettable encounter for all the wrong reasons. The stadium disaster at Heysel led to English teams being banned indefinitely from European competition, basically 14 Liverpool fans were found guilty and sentenced to 3 years behind bars. The tragedy occurred when a large group of Liverpool fans, 1 hour prior to kick off, rioted and breached the fence that separated the two sets of fans. The Juventus fans backed away from the charging Liverpool fans as they felt a threat of violence, the problem was that a they were backed into a concrete retaining wall in which current Juventus fans were already occupying. There has been no comment from Fantasy Premier League on this action yet, we will update you. To play a little bit of devils advocate here, is there any difference between a Juventus fan who wants justice for Heysel and a Liverpool fan who wants justice for Hillsborough? That is the question I will leave you with. Disclaimer: We here at footballoffside treat all football tragedies the same and the only real victims here are the fans and the families of the victims. R.I.P.